Mission Bulletin Board: This features the most recent news for missionaries, their picture, where they are serving, and how you may prayerfully and financially support them. It is located just outside the sanctuary. Mission Sundays: during the year we will celebrate God's work in the local community and the international community by bringing in missionaries and hearing personal testimony of God's transforming work of salvation through Jesus Christ. These are usually planned well ahead, but they can be last minute depending on our missionaries. Child of Promise: For only $20 a month a young child in Bangladesh can be provided with meals, shelter, clothing, and a Christ centered education. That's only $240 a year to change the life of a child for eternity. 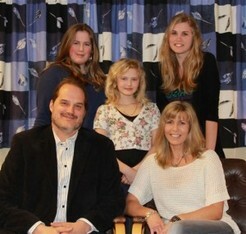 Support Sweden: We make a yearly faith promise to support Doug and Anna-Karin Molgaard (and three daughters) directly. They are working in the nation of Sweden (Anna-Karin's homeland) to rekindle the love for God in a very secular Swedish culture. For more information click here. Stephen and Jane King: This BCM International missionary couple trains and equips children and youth leaders all over the world. Some locales are safe and secure, while others are dangerous. They have been to Asia, Africa and many other areas as well. Keith and Sara Evans: Keith is a college campus missionary with disciplemakers. He and his wife serve on the campuses of Gettysburg College and increasingly on Lebanon Valley College in Annville, PA. Our college and university campuses have become the sites of a significant struggle for the hearts and souls for our future moves and shakers of society. Keith and Sara are in the middle of this spiritual struggle.